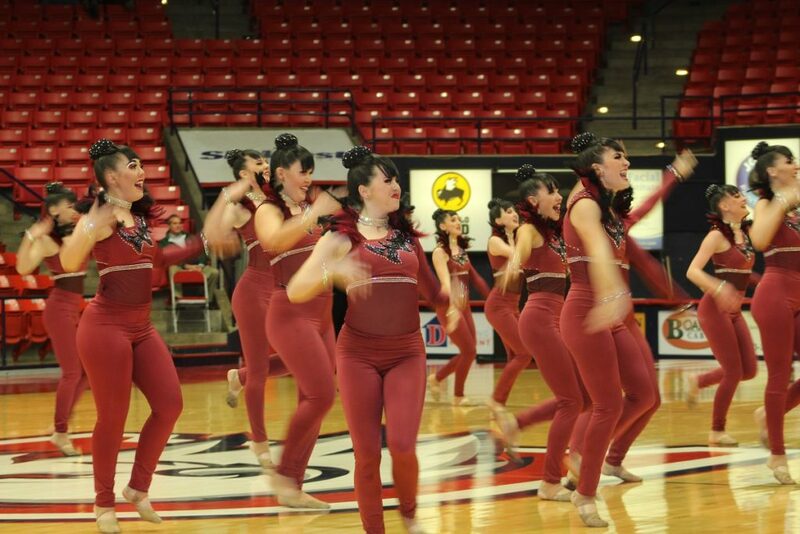 ST. GEORGE — After a spectacular performance, Desert Hills High School’s “Tempest Line” drill team claimed the Region 9 title Thursday evening inside the Burns Arena at Dixie State University in St. George. This year the “Tempest Line” drill team from Desert Hills High School won the 3A drill team championship, after placing first in three of the four categories in Thursday’s drill team competition. Between 80 to 90 girls participated in the regional event that included nine judges and one tabulator, competition director Trisha Tempest said. The competition began at 6 p.m., in a stadium filled with hundreds of spectators, parents and supporters. 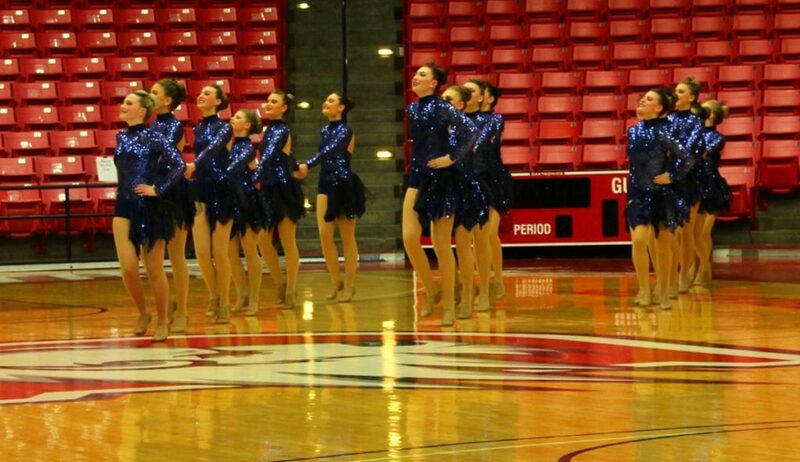 The Region 9 competition decides which drill team will go on to compete in the Utah High School Activities Association, or UHSAA 3A state drill team championship scheduled in February at Utah Valley University in Orem. 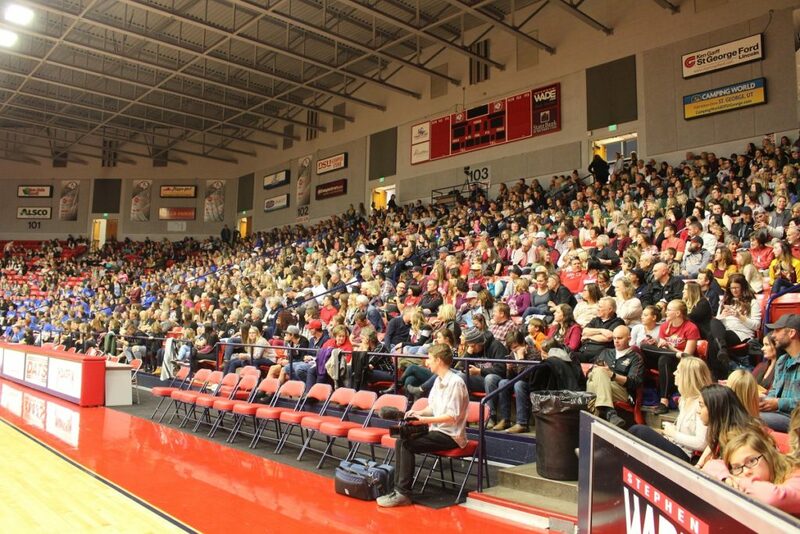 “This competition places and qualifies them for the state competition at UVU,” Tempest said. 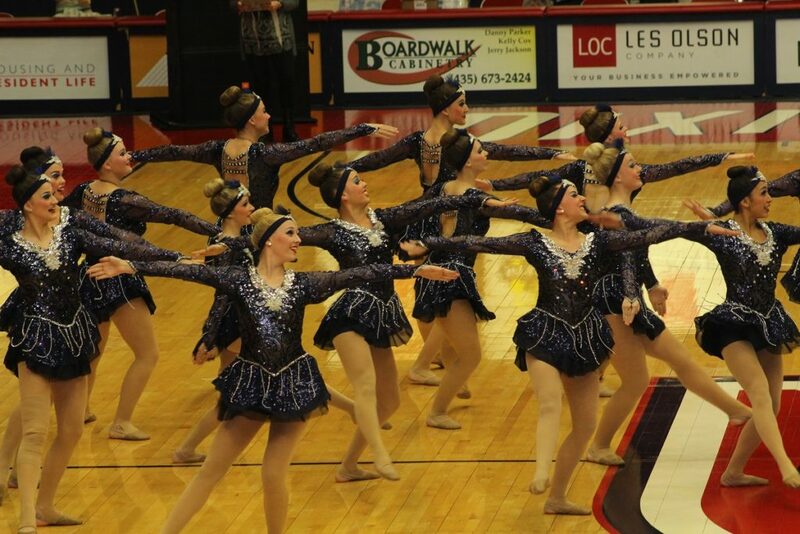 This particular sport is a year-round sport, the competition director said, so the girls practice more than 10 months out of the year, with approximately six weeks off. Participation requires that they are up and moving by 6 a.m. to allow the girls to perfect their routines at early morning practices in order to achieve such a high level of competition, Tempest said. 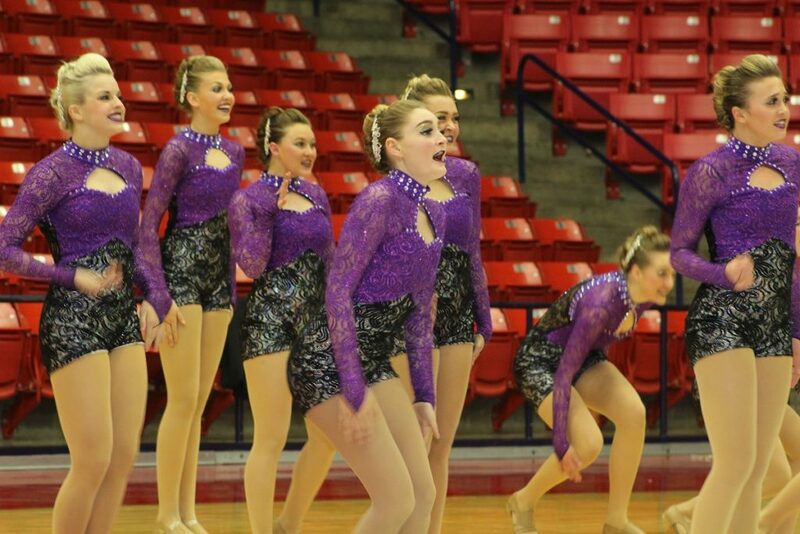 Desert Hill High School’s “Tempest Line” placed first in the overall category, while Cedar High School’s “Mohey Tawa” drill team placed 2nd, Dixie High School’s “Jetettes” placed 3rd, and Snow Canyon’s “Eshelles” drill team came in 4th.